I luckily have not had this error at all so far with Battlefield 4. But would like to offer something to try, based on my experience with a directx errors on BF3 release 2 years ago. I had a Asus GTX 560. On BF3’s launch I had constant directx errors, DirectX crashes for the first 2 weeks at game launch. Along with that Asus GTX 560 card included 3 pieces of software by Asus that I installed – Asus GPU Tweak, ASUS Smart Doctor and ASUS GamerOSD for the GTX 560. At the time, trying to find a solution back then with BF3, I came across one post stating “ASUS Smart Doctor” was causing crashes, and to remove the software. I immediately removed ALL video card software – Asus GPU Tweak, ASUS Smart Doctor and ASUS GamerOSD software,,, directx errors, crashes were gone in BF3. After a few weeks then tried MSI Afterburner to tweak the GTX 560, and there were no problems with Afterburner. I now have a Asus GTX 660 TI which I purchased about 7 months ago. Needless to say, I did not install Asus’s card driver, “Asus’s GPU Tweak” or “ASUS Smart Doctor” or ASUS GamerOSD software. Have had no problems, no Directx errors with the GTX 660 TI in Bf3 or in Battlefield 4. Still using MSI Afterburner 3.0.0 Beta, newest version currently. The point & help I am trying to offer here is take a look at any GPU tweaking program you might be using especially by the video cards manufacture. You might not even be “using it”, but you might of installed it and forgot about it. With Asus’s GPU Tweak, ASUS Smart Doctor & ASUS GamerOSD, all were installed but I never actually used it to tweak the card back then. I had to completely uninstall all 3 pieces manufacture card software to remove the Directx error back then. Disabling them from starting, I still had the errors, uninstalling the software stopped the Directx errors and crashing with BF3. I also at the time, reinstalled, “clean installed” Nvidia’s graphics driver again and DirectX from BF3’s game folder. DirectX errors were gone after that. My son has a Gigabyte GTX 770, and having Directx errors with Battlefield 4. I asked him, if he was using using MSI Afterburner. Stated “No”, using Gigabytes “OC Guru”. I suggested he might want to uninstall it, just to see what happens. His directx errors & crashes were gone after he uninstalled the software. Of course if you are using MSI Afterburner, that is not your DirectX problem. If you are using, or have installed any video card tweaking, monitoring or overclocking software, especially by the card manufacture (other than MSI Afterburner), try uninstalling it. 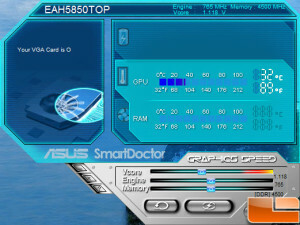 And especially Asus’s GPU Tweak or ASUS Smart Doctor software, uninstall it. Of course reboot and try BF4. I have a feeling it was “ASUS Smart Doctor” or “ASUS GamerOSD” back then, for “Asus’s GPU Tweak” is very similar to MSI Afterburner, and Afterburner is causing any problems here. This can be either Nvidia, and possibly AMD card manufacture tweaking software. Mine was Nvidia based. Asus GPU Tweak offers the same as it’s ASUS Smart Doctor software, why offer both in the first place? And why did I install all of this crap when I received the 560 back then? I read through the Battlelog forum almost everyday. MANY, many still experiencing performance problems and DirectX errors. I know there are a ton of “try this, try that, possible solutions that work for some, and no change for others. I have yet to see anyone mention your video cards software, or tweaking, overclocking program. My anti virus program I am running is Eset NOD32 Anti Virus 7.0. Excellent protection and light on resources also. Using just there Anti Virus software, not the full “Smart Security” package. – CLEAN install video drivers, do not trust Nvidia “Clean Install” option. I use Driver Sweeper when ever I install new video drivers to make all old drivers are cleaned out. And with Nvidia, choose custom install, and uncheck “Gefore Experience” option,, a non needed “bloated” feature. – Running the Directx installer within Battlefield 4 main folder – right click, “Run As Admin”. If you get some type of popup stating “unauthorised, or non approved version, click “yes” and continue with the install, reboot. – Make sure your Operating System is fully updated. – Check with motherboard manufacture chipset drivers for possible update. – Motherboard bio’s update? If your not sure about this one, this could be risky. I only mention it as a last resort. A bad bio’s flash (update) can stop a motherboard from working completely. Newer boards, not many,, have options to recover from a bad flash. – Audio Driver Update? Check you audio/sound device for updates. Don’t use Device manager to “check for update”, most of the time it will return “no update available” when there actually could be an update from audio manufactures website. Reboot, load, start run game to see if game runs without crashing. 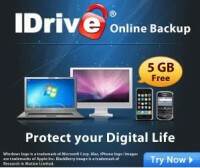 If it DOES NOT crash,,, one of those items starting up with your pc COULD very well be causing the crash. If it does crash, reverse the above the way it was. Hello Lightspeed. Nice that you have done the correct steps. I did 3 things that solved the Diectx issue. 1st. Download visual c++ redistributable update 4 from Microsoft. 2nd. Increase C drive paging amount. 3rd. Disable origin from startup. The 3rd is imp or else 2 origin instances runs which crashes the game.